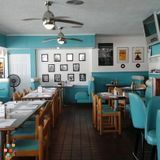 DEE'S 50'S PLACE DINER IS LOOKING FOR RESPONSIBLE AND EXPERIENCE TO JOIN OUR TEAM. Atyab Shee Mediterranean Cuisine, we offer breakfast,lunch and dinner. Seeking a professional with experience!